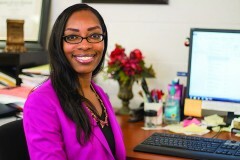 Keisha Willaims: Single Mothers Acedemic Resource Team Coordinatior, connects single parents with resources. After discontinuing her college career two years ago, Rachel Maag, a diversified studies major and mother to three-year old Henry, returned to continue her education. Establishing a comfortable daily routine with Henry has been a challenge, she said. Maag said her biggest need was financial assistance. 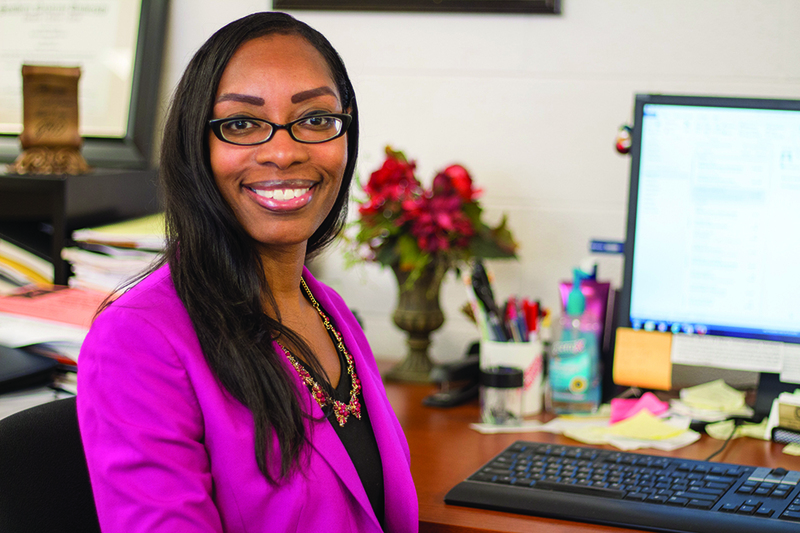 Keisha Williams, is the statewide coordinator of Single Mothers Academic Resource Team, a support group for single mothers seeking to continue their education. Including Maag, the program has served nearly 200 students since it began at OCCC in 2012, Williams said. To quality, single mothers must be a current Oklahoma City Community College student or must be seeking to enroll, she said. “If they’re not yet a student, I physically help them with the enrollment process at the main campus,” Williams said. Mothers taking general educational development classes also qualify for SMART. Williams said she understood the challenged faced by working mothers who are going to college. Trying to juggle work, school and providing for a family as a single parent is not easy, she said. Williams said there is an application process where she meets with the single mothers on an individual basis to determine their needs as they begin their journey in higher education. Although the program focuses on single mothers, Williams said single fathers can also be a part of the program. SMART primarily focuses on providing the mothers with information about resources in the community that they may not be aware of, Williams said. Some of the organizations include the Infant Crisis Center, Oklahoma Money Matters and The Special Supplemental Nutrition Program for Women, Infants and Children. Every month the moms come together to share their thoughts, interests and needs, she said. “I wish something like this would’ve been in place as I was raising my children,” Williams said. Not only does William act as a liaison between the mothers and different organizations, but the mothers learn from each other, Maag said. Williams said her greatest challenge as a single mother and a college student were finances. “There was never enough money.” Another barrier was finding safe and reliable child care for her two daughters, Briauna and Aysia. Although child care services are not offered directly by SMART, the single parent is referred to the Child Development Center, located at OCCC’s Family and Community Education Center. The Child Development Center offers students who are parents childcare. Williams said does charge for its services but the center also accepts funding through the Department of Human Services. Maag said DHS provided child care financial assistance so that Henry could attend the Child Development Center while she’s in class. Williams said she graduated from Southern Nazarene University with a Bachelor’s degree in family studies and gerontology. Williams became the SMART statewide coordinator in 2014. SMART is funded through a grant from the Women’s Foundation of Oklahoma, she said. According to the foundation’s website, wfok.org, since 2004 $260,000 have been disbursed in grants. The SMART office is located at the off-site branch of OCCC, Family and Community Education Center. For more information about the program contact Williams at 405-682-1611 ext. 7117 or by e-mail at keisha.l.williams@occc.edu.